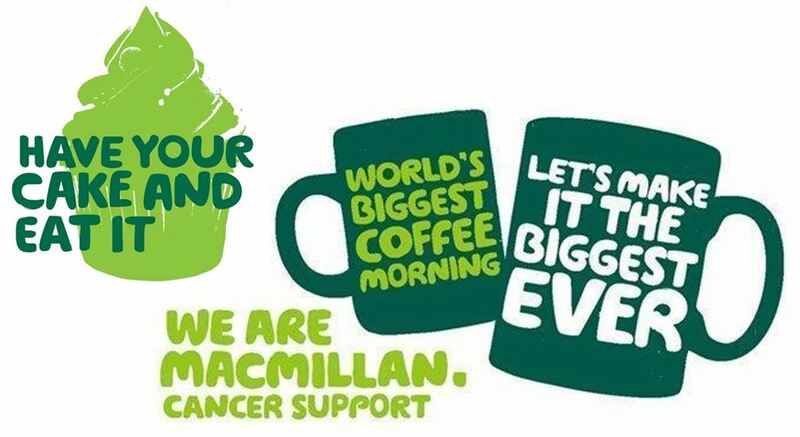 The World’s Biggest Coffee Morning is Macmillan Cancer Support’s biggest charity fundraising event. This year, it will be held in Barnaby’s on Friday 28th September, starting at 9am. This event was first held in 1991, when 2,600 coffee mornings were held simultaneously across the country. Last year, the number was closer to 155,000, and a total of £165 million has been raised for the support of cancer patients as a result. Find out more at coffeemorning.macmillan.org.uk. This year, there will be loads of cake for sale, and loads of things for the kids to colour in. Come and be part of something special! If you can’t come but would still like to give a donation to Macmillan, text CUPCAKE to 70550. It costs £5, of which every penny goes to Macmillan. Barnaby’s regular customer John Vearncombe will be back in Swanmore on Saturday 22nd September, having raced around the world in the Clipper Round the World Race. John will be speaking about his adventure in the Paterson Centre from 3pm to 5pm, and what motivated him to use the event to raise money for the St.George Foundation. We urge you to come along. His talk will be fascinating for sailors and non-sailors alike, plus there will be tea and prosecco on offer! There is no need to book to hear John speak – just turn up. We’ll see you there. In what’s said to be the worst rains for more than 100 years, over a million people have been affected by the unprecedented flooding in Kerala – Southern India. Kerala’s floods and landslides have left ruin so terrible that around 200,000 people will be unable to return home for at least six months, Christian Aid estimates. Even among houses that were not completely destroyed, many are now filled with mud, vegetation and rubbish, with collapsed roofs and walls. Many people have lost everything they had. Barnaby’s made a donation to Christian Aid yesterday, in order to assist them and their local partners in responding to urgent needs of shelter, food and clean water for more than 12,000 people. The full story is available at www.christianaid.org.uk/emergencies/kerala-floods-appeal, in case you wanted to know more. Swanmore’s favourite son Felix Barrow is in Monaco this weekend, getting up-close-and-personal with the glamorous world of Formula One. His awesome opportunity was made possible by the amazing people at the Make A Wish Foundation, who turn dreams in to reality for disabled children and those with critical illnesses. Pictured is Felix with Mercedes F1 driver Lewis Hamilton, shortly before the qualifying for the Monaco Grand Prix itself. As well as meeting Lewis and a host of other drivers, Felix has had a full tour of the pits and been out on a Sunseeker with the Red Bull Team. What an experience indeed! Head to make-a-wish.org.uk to find out more about the Make-A-Wish Foundation. Congratulations to all of our younger customers who took the time to design some magnificent teapots for the Royal Wedding on Saturday. There are prizes for the top two entries in each category, and a couple of Highly Commended awards too. You can see the results on our Facebook page at facebook.com/swanmorecoffee. If you are a winner, please pop in to Barnaby’s and grab your prize by asking the team behind the counter. Well done everyone! We are in awe of John Vearncombe’s venture to complete his year long journey in the 2017-18 Clipper Around the World Yacht Race. John, an active Swanmore resident, shows his dedication to St George Foundation by donating all sponsorship money to us. He is now halfway around the world sailing in the vast Pacific Ocean. Open his blog at www.roundtheworld.blog to read the courage and grit his crew need to run this race for us. A donation at this time would greatly encourage them. You can help by sharing his blog with your contacts. Its a great way to introduce new supporters to our vital work. Another victim of the landslides is a young girl who suffers from a serious spinal deformity. If it is left untreated it will probably ruin and shorten her life, so we are going to deal with that for her. Her name is Cecelia – full of life, very intelligent and keen to study. We have been in touch with a specialist spinal charity who advise us that they can assist us to get her condition operated on in Ghana – but it looks as if we will have to raise £10,000 to cover everything. At the moment we are still assessing her condition and the situation is not urgent. We hope to keep you informed of her progress. You may well be aware that there are new rules on data protection coming into effect and they also apply to charities. It means that in order to communicate anything to you or hold any of your data we have to have your positive consent. 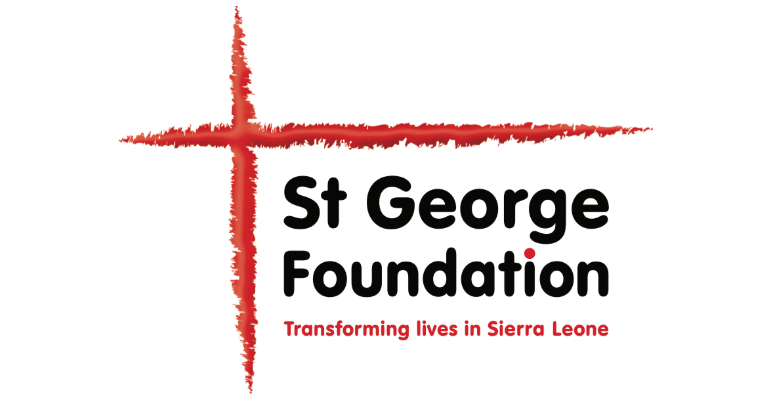 St George Foundation has never done anything with your email or address from you other than to write to you occasionally. We would never share your information. Our policy statement is on our website. We are looking forward to our Garden Party on 21st July at Haze Lea in Swanmore. Your help and participation in this fun and fund-raising event is most welcome. Call Jo at 01489 894133.